You’d think having grown up traveling the world that I’d be pretty good at it. You’d think I’d just get on my planes and off of them the way normal people do, but for some reason, I can’t seem to do it. So instead I have random airport adventures while I wait for different flights to come and collect me. This time it was much calmer and shorter than the last airport adventure. This time I felt very alone. I also got to Skype with my brother-in-law for a while and catch up. One perk about having family in all different time zones! And wouldn’t you know, when you are stranded somewhere other people usually are too. In this case, it was some friends I hadn’t seen since three years ago in Tanzania! It was great to see them and meet their new-ish little guy! And the possibly the greatest surprise was getting a first class seat on the plane when I finally did get on! I didn’t know ahead of time because they wouldn’t print my boarding pass until it was time to get on the plane (made me a bit nervous that I wouldn’t have a seat, but I did, and it was a great one). The man next to me even gave me his blanket so I had two. I don’t know anything except a few moments of chatter before I fell asleep right before take off and then a few more words exchanged right after landing. A wonderful flight indeed! It was also the first of 4 to not have a child within 2 rows of me screaming the entire flight. Such a win! It was a crazy trip, but so worth it! 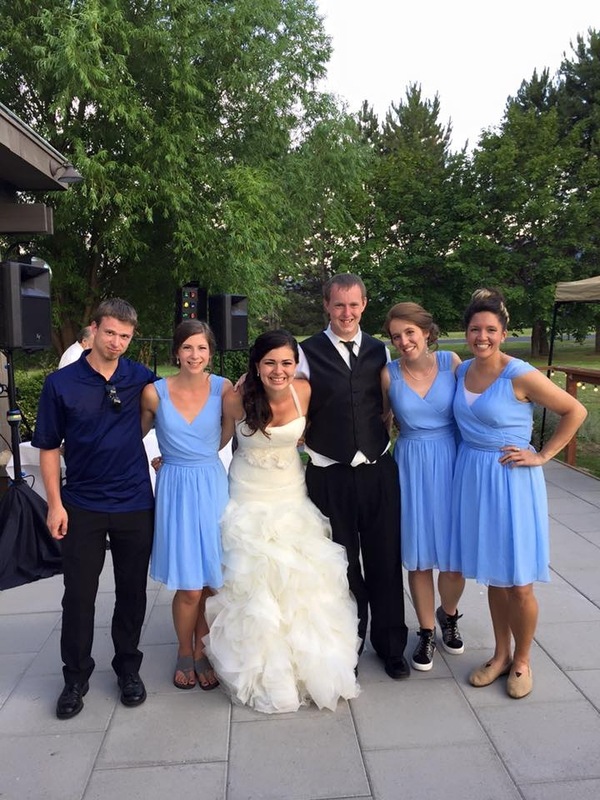 I had such a blast celebrating Kelcey and Jordan with old friends from New Zealand! Some of the best in the world! And now I’m spending some quality time with my family in Michigan before they fly back to Tanzania…and waiting for my suitcase to catch up with me.